Do you remove the paper before baking the burritos? 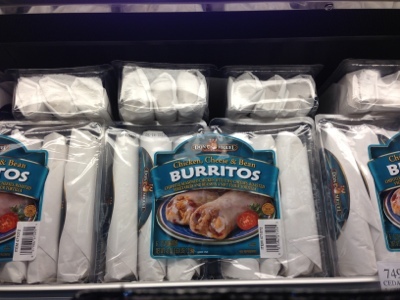 Should the paper be removed before baking the burrito? I always microwave mine. It says to loosen the paper, and I do that, but I leave the paper on in the microwave.